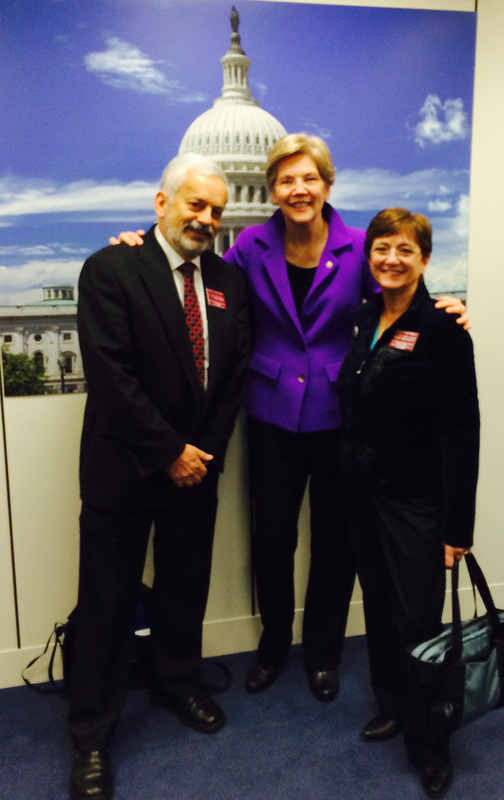 Senator Elizabeth Warren told Nicewicz and Horn that upcoming legislation regarding nutrition would include issues of food security. Senator Edward Markey, Congressman James McGovern and Congressman Richard Neal and their legislative aides each spent time talking with our delegates about key issues within The Center for Agriculture, Food and the Environment (CAFE). 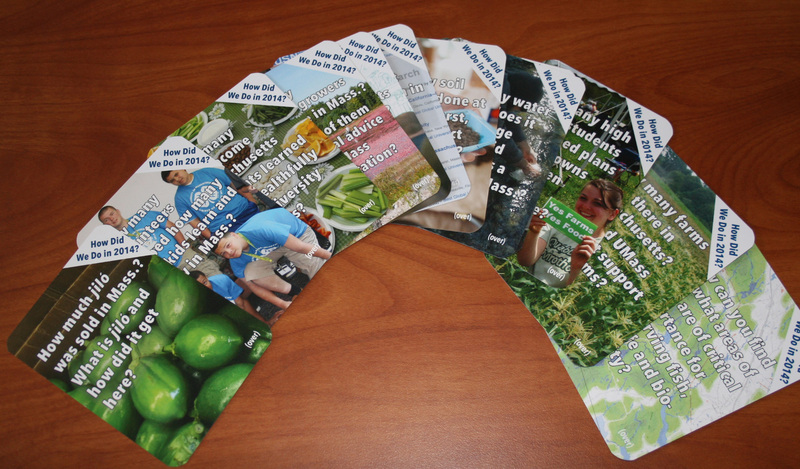 Each legislator was presented with a distinctive pack of 12 “legislative playing cards” demonstrating an aspect of various programs within CAFE. Given the interest shown by the legislators, it is a sure bet these visits will be remembered for having been dealt a good hand. Nicewicz has served as the University of Massachusetts representative to CARET for 17 years. An active farmer from Bolton, Massachusetts, he is appointed by the Dean of the UMass Amherst College of Natural Sciences. Nicewicz’s goal is to meet with the state’s Congressional leaders to discuss the benefits of the Land Grant University system, a system that has elevated U.S. agricultural research, extension and teaching since its inception 150 years ago. One of the most important tasks he undertakes, with great success, is building solid relationships with our representatives so they understand the vital importance of supporting the broad agricultural work of the University. Horn, a long time 4-H Extension educator, was able to share the importance of Extension’s work in communities throughout the Commonwealth. On several visits, Nicewicz and Horn were joined by Frank Mangan, Associate Professor, Extension and Rich Bonanno, Extension Educator.